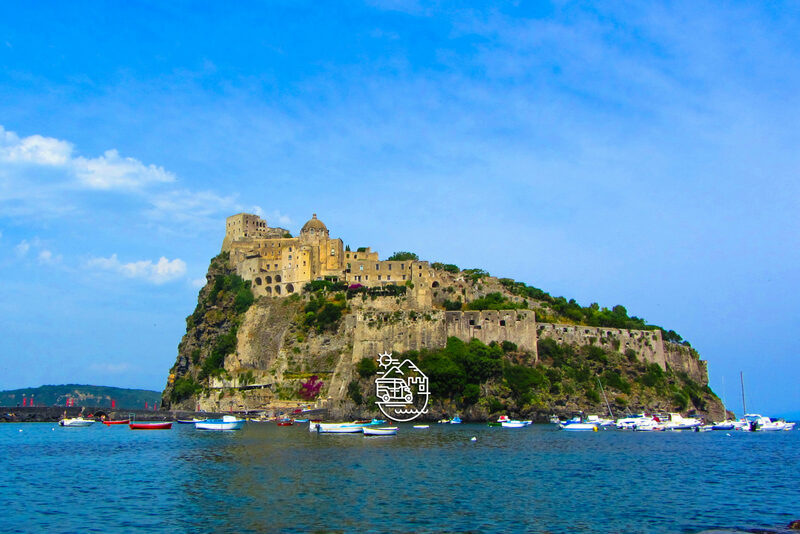 Here you can find a calendar of the most important and interesting festivals, religious, artistic and cultural events in Ischia and Campania. Enjoy! 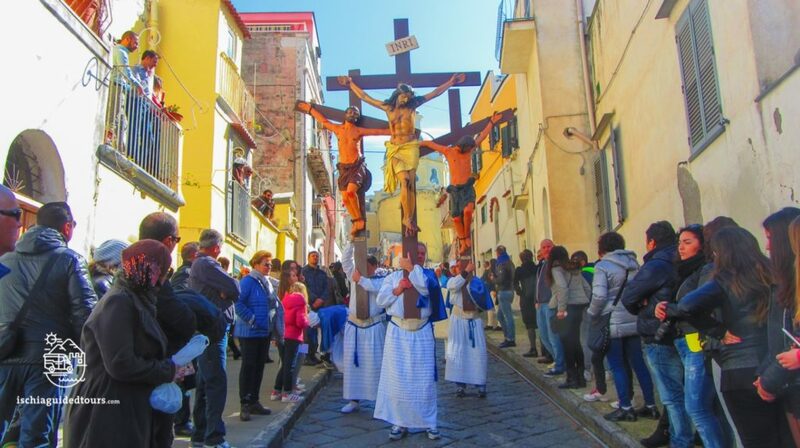 February 14th is, of course, Valentine’s day but the town of Sorrento celebrates its patron saint Sant’Antonino with processions and market stalls along the streets of the town. On the first Saturday in May, the city of Naples celebrates the Festa di San Gennaro. The miracle of the liquefaction of his blood is attempted (this also takes place on September 19th each year). On May the 14th, Capri celebrates its patron Saint Costanzo with a procession in Marina Grande. From June to September, Villa Rufolo in Ravello hosts one of the most important and oldest music festivals in Italy, “The Ravello festival”, with performances by world-renowned musicians in the enchanting setting of the villa’s garden. On June 15th the town of Forio (Ischia) celebrates its patron Saint, San Vito, with a 3-day festival on the streets of the town, ending with a spectacular fireworks display on the seafront. On June 27th, Amalfi celebrates Sant’Andrea (Saint Andrew), patron Saint of the town and protector of the fishermen. On July 23rd in Conca dei Marini on the Amalfi coast, it is the day of the “Sea Festival” (Festival del Mare”, a special day to remember and celebrate the sailors of this area who lost their life at sea. After the religious celebrations, the festival continues in the evening with live music and seafood dishes served on the beach. On July 26th celebrations are held in the village of Ischia Ponte (Ischia) in honour of Sant’Anna (Saint Anne) with a great parade of floats, fireworks display and music. On July 27th Ravello celebrates its Patron Saint, San Pantaleone, protector of the doctors. The relics of the saint are displayed in the beautiful cathedral in the heart of the town and, on his day, the blood of the saint is said to liquefy, like that of San Gennaro in Naples. August 10th is San Lorenzo’s day, the night of the shooting stars. People gather on the beaches to look at the shooting stars and make a wish! On August 11th and 16th 2017 the annual “Corricella in jazz” takes place on the island of Procida. A free jazz festival in the charming location of the Corricella fishing village in Procida. August 15th is “Ferragosto”, a national holiday which celebrates midsummer. The tradition dates back to ancient Roman times, in fact the original name of the celebration was “Feriae Augusti”, established in the year 18 B.C. in honour of the Emperor Augustus. On September 19th Naples celebrates its Patron Saint, San Gennaro, awaiting with devotion the miracle of the blood’s liquefaction in Naples cathedral. San Michele Arcangelo (Saint Michael) is the protector saint of the island of Procida and of the village of Sant’Angelo in Ischia. On the 29th September big celebrations are held in both islands to honour the saint. From the 26th December to the 2nd January, the island of Capri hosts the “Capri Hollywood – International Film Fest”, an annual event dedicated to the film industry with concerts, meetings, film previews attended by a host of international film stars and celebrities. Christmas in Ischia: on the 24th December at 06:00 a.m., don’t miss the traditional Christmas fish market in Forio’s main square. Am annual event followed by folk dancing and marching band playing in the streets. On the 29th December don’t miss the Live Nativity scene in the village of Campagnano (Ischia), a live display that recreates the birth of Jesus, with local performers in the village of Campagnano, trasformed for one night in a little Bethlehem.